It's a question anyone who has ever considered building a pool in their backyard has had: Is a swimming pool a good investment? After all, building a pool isn't cheap (though we try to make it as cost-effective as possible). So when it comes time to determine if you should take the plunge and add a private oasis you want to know... will a pool affect the resale value of your home? If so, how so? Let's dive in! From a purely financial perspective, yes—adding a swimming pool will in most instances add additional value to your home. 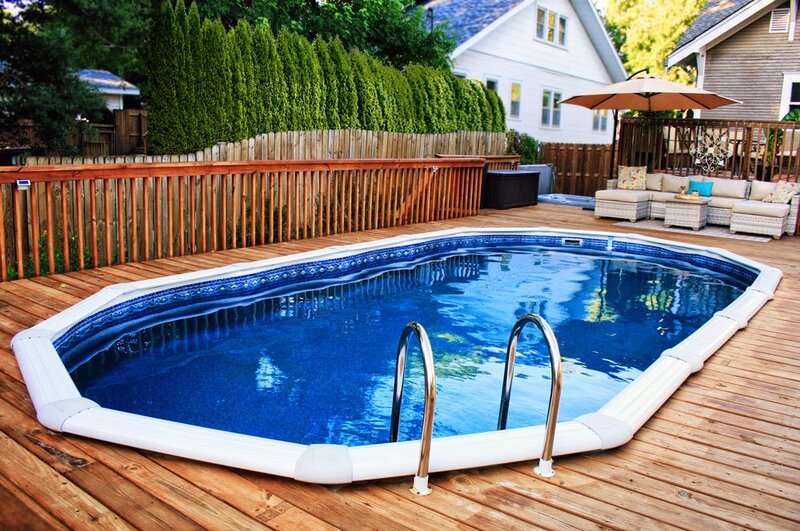 What's important to note, however, is that the value added will not be a one-to-one relationship with the cost of the pool itself (including decking, etc). For example, adding a $10,000 pool will not mean your home's value will increase by $10,000. While your pool will increase the market value of your home, the majority of that value will be in perceived value vs. a straight dollar amount. You're looking at an increase of 7%-30% on your home's resale value. This will also take into account where you live; if the swimming season is extremely short (like in Maine) the return percentage will be lower than an area with a long swimming season (like Florida). Those numbers are for inground pools specifically. While an above ground pool can be an added incentive for about 75% of buyers, the pool itself will not be added into the value of the home. If you're looking to add value, inground is the way to go. Another way to look at this is if most homes in your region or neighborhood have a pool, but yours doesn't, not having a pool can be considered a negative by any prospective home buyer. This could lead to longer time on the market when it comes time to sell, and therefore a higher probability of price cuts if you can't sell at your asking price. Additionally, a well-kept pool will add value to home whereas a pool that has "let itself go" due to poor maintenance and little to no upkeep would more likely deter potential home buyers. On the other hand, a beautifully kept sparkling clean pool could be that little something extra that sets your home apart from the rest. 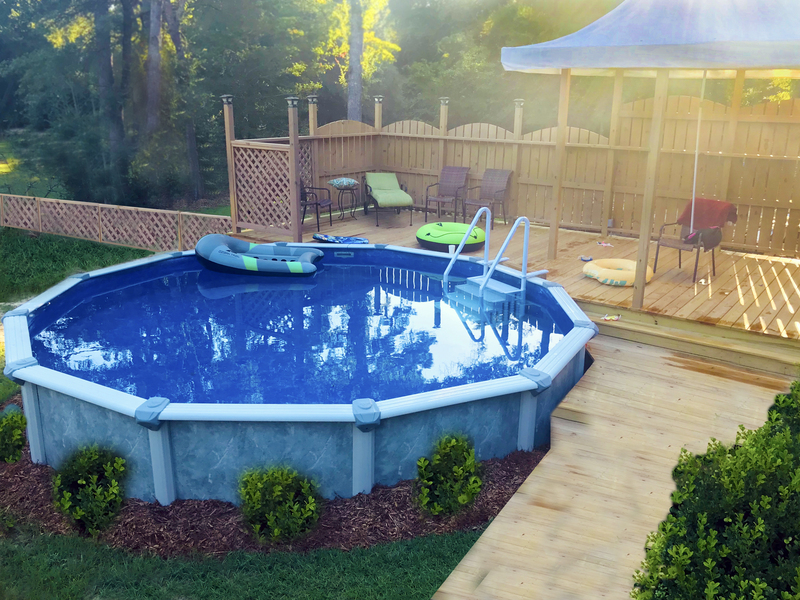 While it may seem obvious that the best return on investment on a pool would occur in states with lots of sunshine and longer swim seasons (which is true), some of the most popular states for pools also include several cold-weather states. In these cases, homeowners see the greatest returns on their investment when they focus not entirely on the pool but the complete backyard. These pool owners look to make their outdoor area usable and entertaining all year long with other elements outside of the pool. This becomes very attractive to potential home buyers. How Do I Get the Best Return on My Swimming Pool? As mentioned, make sure you're keeping your pool well maintained. This will increase the life of your pool, pool equipment, and pool liner ensuring that you're not spending additional funds repairing any of these items before their time. This also helps make your pool a selling point inside of a detractor when it comes time to sell. Your pool's pump plays a large role in the ongoing upkeep cost of owning a pool. If you're looking to enjoy a beautiful pool for as little cost as possible in the long run you'll want to go with an energy efficient pump! Variable-speed pumps use up to 80% less energy than single-speed pumps. On this note, this type of pump will cost more upfront, but check your local utility company to see if they have rebates for these items. It's also budget-friendly to set your pump to run in low-peak time for energy consumption such as nighttime when the neighborhood is using less electricity as a whole. This will cut down on your electric bill month to month. Along these lines are pool heaters. If you're going to heat your pool you're probably considering either a gas heater (lower upfront cost) or an electric heater (lower operating cost). Even if the gas heater is tempting upfront due to it's lower cost, we urge you to think long-term as an electric heater will save you a couple hundred dollars per swim season compared to a gas heater. Opting to learn how to balance your pool's chemicals and maintain the proper pH balance yourself is another way to cut costs significantly back. Opting to clean your pool yourself falls into this type of saving as well. Just make sure you do have a pool maintenance service stop by if you go out of town for an extended period of time. You can, of course, save some time on the cleaning buy purchasing an automatic cleaner. Remember, a pool only adds value if it's well kept. When those summer heat waves come or your children are home from school longing for something to do, you won't have to drive to a community center or pay to go to the water park to cool off. You'll have an incredibly fun alternative that everyone can enjoy! Along these lines, a pool is a great way to have friends and family over and entertain without having to have a lavish or expensive dinner party. A swimming pool is also a great way to exercise in the warmer months! If you're a strictly cardio bunny, save money on that gym membership and do laps from late spring to early fall (depending on your area's climate). How Much Should I Invest In My Pool? As mentioned previously, expectations within your neighborhood can be a good indicator of what level of investment is "appropriate" for your installation. Some resources would recommend keeping your total cost (purchasing and building) between 10% and 15% of what you purchased your home for. However, the simplest way to determine how much you should invest in building a pool is to think about what you want to get out of it. If you are looking for a place to relax or build memories, keep that goal front and center when deciding what you want. Pair those goals with your budget to make sure the cost is worthwhile to meet the goal you have in mind. After all, a pool is a long-term investment-and in many more ways than just financial. It will be part of your yard and home for years to come, and a place where countless life events will be created and celebrated. After all, aren't those are the most important things to invest in?